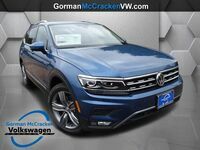 The compact SUV class just got better with the latest addition of the 2019 Volkswagen Tiguan. This SUV puts the fun back in driving with its suite of the latest technologies and spacious, family-friendly interior. Built to take on every adventure your family could wish for, the action-ready Tiguan is powered by a 2.0-liter TSI® engine paired with an 8-speed automatic transmission. The Tiguan’s transmission lets you take control of shifting gears when you shift into Tiptronic® mode, while Sport mode amps up the fun while you drive by revving the engine to higher RPMs as it shifts gears. Volkswagen offers Tiguan shoppers six feature-filled trims – S, SE, SEL, SEL R-Line®, SEL Premium, and SEL Premium R-line – in eight different showstopping color options. 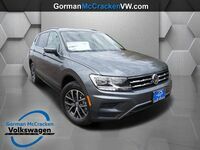 Starting at an affordable $24,295, the 2019 VW Tiguan from Gorman McCracken is the ultimate package. 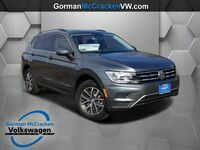 The 2019 Tiguan packs all of the latest features into its compact and affordable frame. 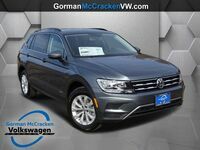 Each model in the 2019 Tiguan lineup features Volkswagen’s MIB II touchscreen infotainment system that easily picks up every touch, so you never have to worry about getting distracted trying to select your next song. Built with your family’s safety in mind, Volkswagen has built the Tiguan to give you your safest drive yet. 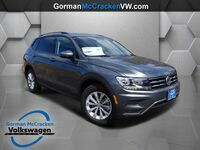 With available safety features like Lane Assist, Forward Collision Warning, Intelligent Crash Response System, and seven stability-enhancing systems, you can drive with confidence every time you get behind the wheel of the 2019 VW Tiguan. The Tiguan offers room for the whole family and more with its standard three rows of seating and spacious cargo area. With a 40/20/40-split-capable second row and 50/50-split-capable third row, the standard 12 cubic feet of cargo space can be expanded to a spacious 65.7 cubic feet of space with both rows of seats folded. Dual-zone Climatronic® automatic climate control keeps you and your passengers comfortable throughout every ride in the Tiguan, no matter what seats are occupied. Options like the panoramic glass tilt-and-slide sunroof make every drive enjoyable by bringing the shining sun right into your vehicle.